How is the SBR Clubs website generally organized? 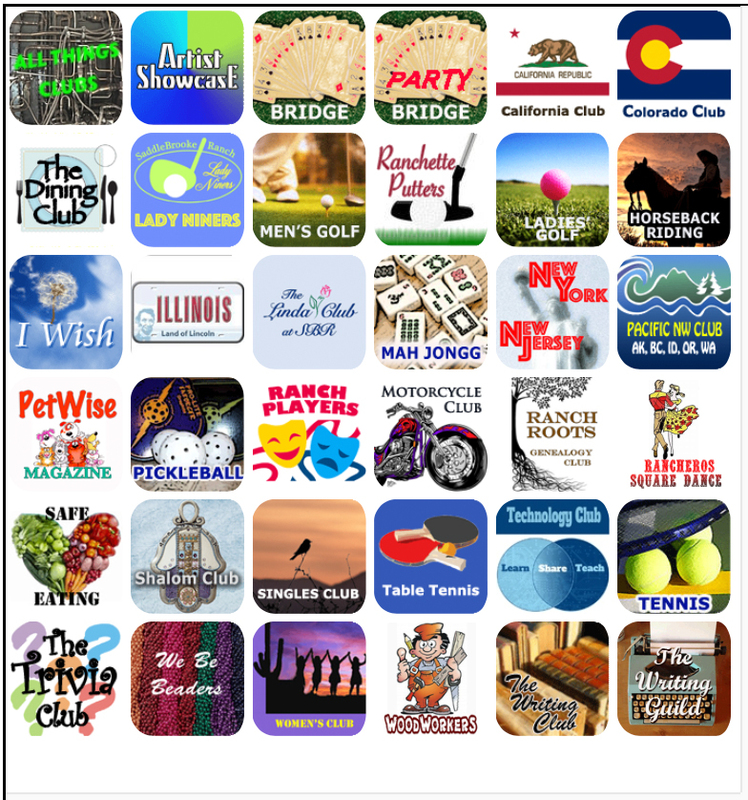 This site is the "Home of SaddleBrooke Ranch Clubs and Groups". Clubs and groups choose to participate and provide information about the organization appropriate to that organization. The moniker "Hubnub" is used in the title of this website to emphasize this website is the central location (hub) for all important information (nub) pertaining to clubs and groups are SaddleBrooke Ranch. 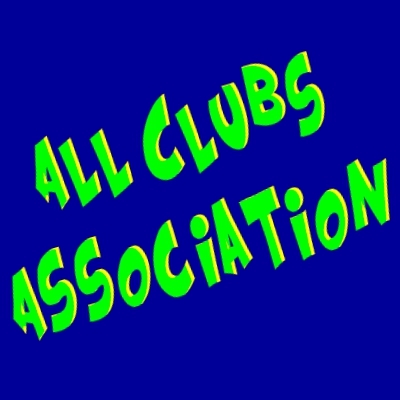 The main home page provides a graphical listing ('tiles' aka buttons) of all clubs and groups participating on this site. So the Clubs website can be viewed as a collection of websites, one for each organization. Some websites are a single page while others are multiple pages because of the functionality they choose to offer such as a membership directory. When you visit a club's website, means are provided to return to the main home page. Typically you will find a Return feature or an "All SBR Clubs" button at the top of the page or within a sidepanel opened by a button at the top of the page. What's the difference between a club and a group? The differences are mainly how formally it is organized and requirements for membership to participate. Clubs tend to be more formally organized, in the extreme organized with a board of directors and operated according to bylaws. Sometimes the club is simply organized by a founding officer or officers and some procedure for electing those officers from time to time. There's even one club that has no defined organization at all but does have members! Some clubs have memberships, with or without dues, others may be well organized but not formalize the notion of membership. Groups tend to be more like special interest gatherings that don't have memberships. Some groups limit participation to those having some connection to that special interest. Other groups are wide open to any SBR resident. Groups are likely to have a leader or "owner" to provide direction. How are clubs/groups formed and what is the relationship with the HOA? Clubs/groups are formed by residents. The HOA may be involved to the degree of approving it's formation deoending on how the club/group intended to use HOA facilities. Learn more here. Do I have to log in to view the websites? For those clubs that have a members' directory page, you wll have to log in to view it, as that information is only available to members. In general, all other pages are viewable by the general public. How do I get a userID and password? For those clubs that have members-only information, you must become a member of the club to be able to log in and view that information. In the process of becoming a member, you will specify a userID and password. For club sites offering memberships, visit the Membership page of their site. A form is presented for you to fill out and submit. Depending on the club, a membership official will be automatically notified of your interest in membership and contact you about membership requirements and process, or you will be given instructions about how to pay membership dues to complete your membership process. If a club offers memberships but does not have a Membership page, follow the instructions on their home page. What if I'm not sure I want to join the club? Go to the Contact Us page to send an email requesting more information. The chairperson will contact you to answer your question and perhaps invite you to come to one or more events so you can get a feel for the club. Navigate to the Contact Us page where you can request a temporary password to be emailed to you. Then navigate to the Members' Corner page and log in with the temporary password. Find the "edit profile" link next to your name in the directory listing. Click that link to change to your preferred password. Enter the current (temporary) password, and then the new password, also confirming that new password on the form. Click the "Update Profile" button. Your new preferred password is now in effect. For clubs providing profiles of members, navigate to the Members' Corner page and log in. Find the "edit profile" link next to your name in the directory listing. Click that link to reveal a form for changing your profile information. Be sure to enter your password as an additional security measure. Click the "Update Profile" button. Your changes are now recorded. I see "news feeds" What are they? A news feed -- or more formally, an RSS news feed -- is simply a list of news items with the most recent at the top. A feed item is typically a title that is also a link to related information, plus a description. The description might be very brief or quite lengthy. It might contain an image, a video, and/or more links to other information. When a club official posts news on the feed, not only does the most recent postings show in the website, but you can also receive an email notification (aka alert) about that item such that you receive the news right in your in-basket without having to visit the site. Without this feature, you'd have to repeatedly check the website to make sure you don't miss out on any important news. You must register for those email notifications. How do I register for email notifications? You will find an explanation about email notifications (aka alerts) or maybe just a simple "Get Email Notifications" link on pages where feeds are presented. Click the provided link to begin a simple process of verifying your email address. Once that is completed, you are registered for that feed. The process takes about one minute. Do I register once for notifications for all feeds? If there are multiple feeds on a club site for various topics, you will need to do the verification process for each feed. This gives you the choice to register for the feeds for which you have interest. Signing up for notifications for individual feeds is also a security measure. When are those email notifications issued? FeedBurner: If one or more new items are posted on a feed, Google will send the email containing the item(s) in the wee hours of the morning. (That's typically in the 1am to 5am range, Mountain Time.) Think of the email as a digest of news posted the previous day. Blogtrottr: Email alerts are sent by Blogtrottr within a few hours of when the item is posted on the feed. If several items are posted within about an hour, the email will contain all items posted in that time interval, just like FeedBurner. What's "FeedBack" on feed item descriptions? "FeedBack" is a feature wherein people can comment on an item. Previously posted feedback comments are revealed when you click the "FeedBack" link, and you are presented a form for posting your comment. The same is true if you click an "Read RSS Feed Item" link which is included at the end of a description when it is truncated for space reasons. Clicking that link will reveal the full description along with FeedBack comments and the comment entry form. What's the "All SBR Clubs News"? Unlike feeds presented on individual club sites that present information specific to that club for its members, the "All SBR Clubs News" presents information that the club would like the broader community to see. For example: offers for non-members to participate in a club event, and exhibitions or festivals put on by some clubs from time to time. You can register for this feed, just like other feeds, even if you are not a member of any club, or even if you are not an SBR resident. To register for notifications for "All SBR Clubs News", you can either (1) click the "subscribe" link that is presented in the green ticker-style presentation of the feed found in the footer of clubs' home pages, or (2) you can click the "Get Email Alerts" link that is presented when you view the "All SBR Clubs News" in the left side panel. To open that side panel, click the "More" menu item shown at the top of pages. Where are the RSS feeds published and managed? The club websites use the Enfeedia news feed publishing service to publish and manage feeds. Generally, you will not be aware of Enfeedia working in the background. Enfeedia is a popular site for website owners to publish their custom feeds to take advantage of the power of RSS feeds. What's that round orange icon with the feed title? That icon is a variation of the industry standard icon for RSS news feeds. When clicked, you will open a "NewsPage" that presents all items currently on the feed plus, perhaps, additional information that the feed owner might have added to customize his NewsPage. Navigate to a Contact Us page for a club site (typically either as a page of the website, on the home page of the website, or at the top of the home page or in a side panel thay opens when you click the "More" menu item. Enter all the information you can about the bug so that the webmaster can troubleshoot the problem, and click the "Contact Webmaster" button. He'll crank up the computer and be on it in no time at all unless he's playing pickleball. You can also click the "Contact Webmaster" menu item at the top of this page to report bugs anywhere throughout the SaddleBrooke Ranch Clubs website. The same way you report bugs.